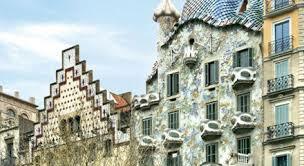 This is a tour of some of the major sites of Barcelona and is a complement to the Las Ramblas/Gothic Quarter area. Starting near the Design Museum, pass by the famous Sagrada Familia. Then, the Eixample area with some famous architecture along the Passeig de Gracia, Modern Art Museum, the university, Arc de Triomf, and the National Theater. The route is along wide streets with pedestrian paths and/or wide sidewalks. Starting at the Museo del Disseny, use Av. 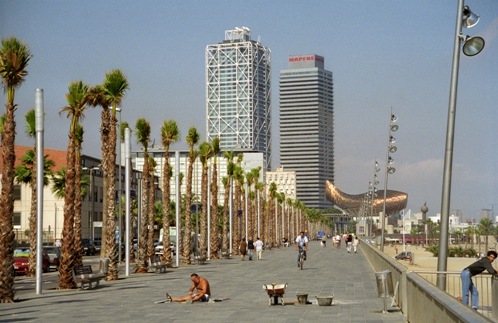 Diagonal to run by the iconic Agbar Tower and the Glòries Catalanes plaza. Continue along Diagonal through two squares, and RIGHT on C. de la Marina, to the Gaudi Square and the famous church. Then head south on C. de Mallorca, then RIGHT on Diagonal at the Verdaguer Monument. Continue for 0.5 km to the Palau del Baró de Quadras, then LEFT on Passeig De Gràcia, with its median pedestrian path, similar to La Rambla. 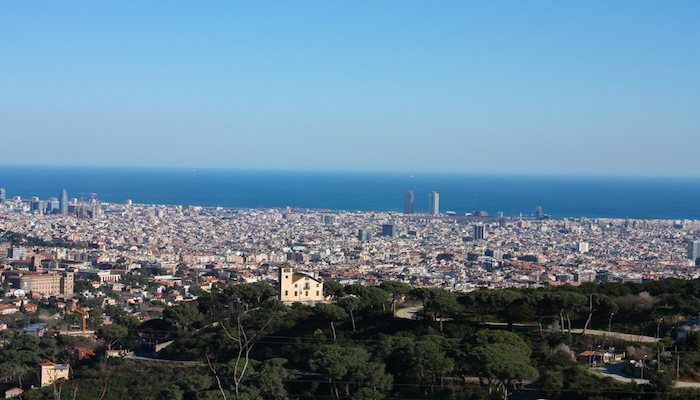 Run for 1 km to the Gran Via de les Corts Catalanes, turn LEFT and run for 1 km to the Plaça de Tetuan, then RIGHT on P. de Sant Joan to the Arc de Triomf and then RIGHT (south) along the pedestrian Carrer de Ribes to the Plaça de Catalanes and then Av. Diagonal to finish off the run. Of course you can modify this and add on streets as you like, such as the Parc de Ciutadella (from Arc de Triomf), and the Gothic Quarter just to the southwest. Note: Streets can be busy and crowded — go early! Hiya, I’m really glad I’ve found this info. Nowadays bloggers publish only about gossips and web and this is really annoying. A good blog with interesting content, this is what I need. Thanks for keeping this site, I will be visiting it. Do you do newsletters? Can’t find it. The clearness in your publish is just great and i could assume you’re a professional on this subject.